"An unusual gem of a book ... full of charm and humour" Julia Eccleshare In her truly authentic and original voice, Daisy Hirst, creator of Alphonse, That Is Not OK To Do! introduces two loveable new characters to the picture book world: Hilda and the Runaway Baby. Hilda the pot-bellied pig lives at the foot of a hill. Life is uneventful and she is always where she expects herself to be. At the top of the hill lives a mischievous baby who is never ever where people expect him to be ... which is why he is known as the Runaway Baby. 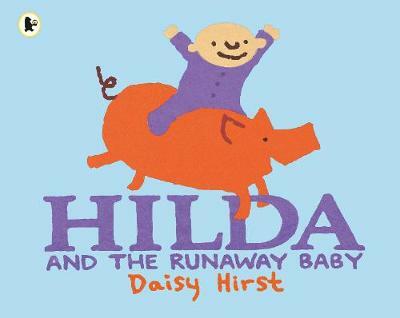 But on a high-speed escapade in a pram, the Runaway Baby and Hilda's worlds collide ... and an unlikely friendship begins.